I love coconut. I love wine. So a combination of both? In a bottle? On New Year’s Eve? What could possibly go wrong? Well, everything that comes from combining wine and coconuts, it seems. 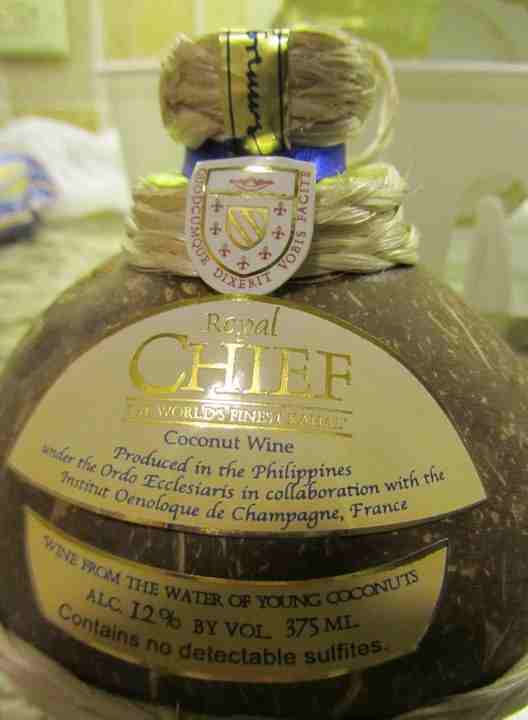 December 31 2010 in Honolulu and the coconut-shaped (natch) bottle of Royal Chief Coconut Wine was calling to me with its ‘wine from the water of young coconuts’ come-on and 12% alcohol volume come-hitherness. We hadn’t even opened it and I was planning how to transport bottles back to Ireland for what I was sure would be the Best Drink Ever! Or fly to the Philippines where it’s produced. 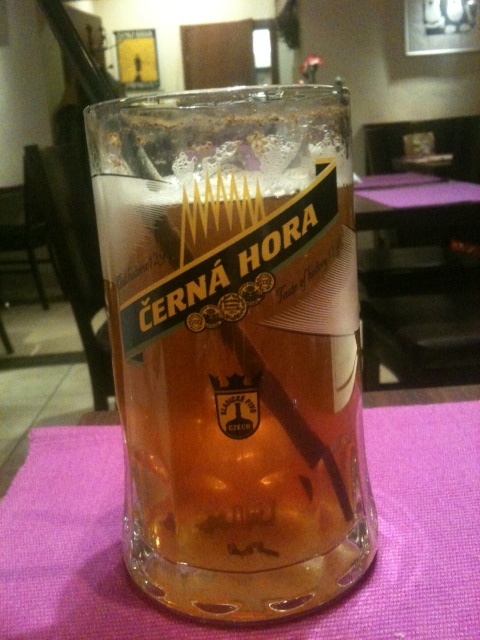 Or sell my soul to buy more of this sure-to-be delicious tipple. The web site says it’s perfect as a gift. For someone you don’t like maybe. We picked up the bottle on the way back to our hotel from a pilgrimage to PukaDog, Waikiki, on the Anthony Bourdain trail (he visited it once in an episode of No Reservations) for Hawaiian-style hot-dogs. Puka means hole in Hawaiian, and these Polish-style doggies (meat or veggie) are slipped into the hole in a specially-baked bun and filled with a choice of four secret-recipe sauces (mild, spicy, hot and hot-hot) or one of seven relishes or standard condiments. We hate choices, so faced with pineapple relish, banana relish, guava mustard and more, the Hubby and I went for, in hot dog terms, the vanilla option – Sweet Maui Onion Relish and a mild Garlic Lemon Secret Sauce. And anyway, I was being adventurous with my coconut wine, right? Well, I would have been if I didn’t have a Hanna-Barbera ‘took a slug and spat it back out again pulling a face like a bulldog chewing a wasp’ moment back in the hotel room. Some people must like it, but I’m thinking they’re the sort of people who could take to drinking methylated spirits through an old sports sock. 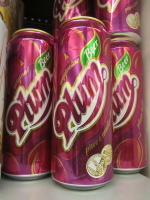 Harsh, tart and not at all the sweet coconutty treat I was expecting. But hey, it was New Year’s Eve and after the champagne had been drunk on the beach and we ran into the sea to welcome in 2011, we staggered back to the hotel and, needs must, discovered that mixing it with fruit juice and vodka made it almost palatable when you’re already 90% blotto. See, there’s an upside to everything. Even coconut wine.